Chanel Egoiste Platinum is an amazing mix of energy and masculinity. 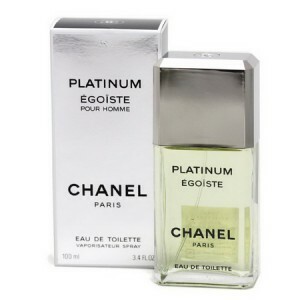 Chanel Egoiste Platinum 100ml. Eau De Toilette by Chanel - Perfume 1993 release for successful and held in the lives of men. Exquisite fragrance includes notes of orange tree leaves, rosemary, lavender, sage, geranium, galbanum, jasmine, wood moss, vetiver, Atlas cedar and incense. Perfume for several decades, is the epitome of masculinity and prosperity. Precious platinum luster and high art of perfumery from Chanel - the quintessence of luxury and refined taste men's fragrance Egoiste Platinum. Only true connoisseurs of complex and ambiguous flavors can fully enjoy its harmony, play music and energy of manhood. Fragrance Egoiste Platinum - it is a symbol of success and elegance. Strict and conservative, but with a hidden sexual overtones. Because it is about this man, "egoist" dream of most women. Try, maybe this "selfish" - yours. Date flavor: woody fragrance Top note: High Alps lavender, rosemary, orange leaf of Paraguay note "Hearts": sage from the Caucasus, Bourbon geranium, Atlas cedar, incense Final note: tree moss, vetiver, cedar, incense. Platinum Egoiste - this alter ego fragrance Egoiste. Fresh fragrance will impress men of any age. It's an amazing mix of energy and masculinity for someone who likes action, overcoming challenges and adventures. The fragrance opens with fresh aromatic lavender and rosemary. Sage from the Caucasus and Bourbon Geranium flavor added liveliness, cedar in the "base" makes the fragrance over. Fragrance bottle identical to the original Egoiste, changed only cap - it has now become a silvery color. Outer packaging is also made in the "silver". 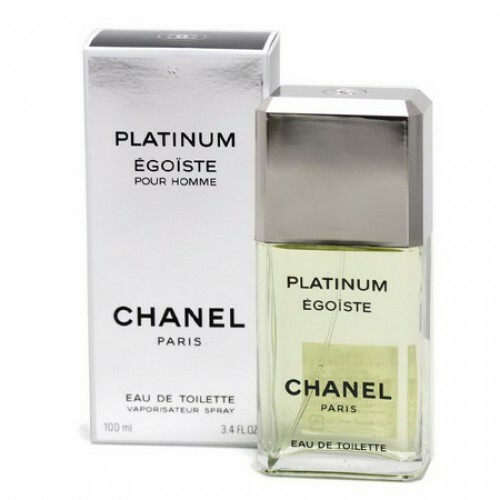 Chanel - the quintessence of luxury and refined taste of men's fragrance Egoiste Platinum. Only true connoisseurs of complex and ambiguous flavors can fully enjoy its harmony, play music and energy of manhood. Fragrance Egoiste Platinum - it is a symbol of success and elegance.